Patterns are available for download (PDF) after checkout – a copy will be stored in your account. 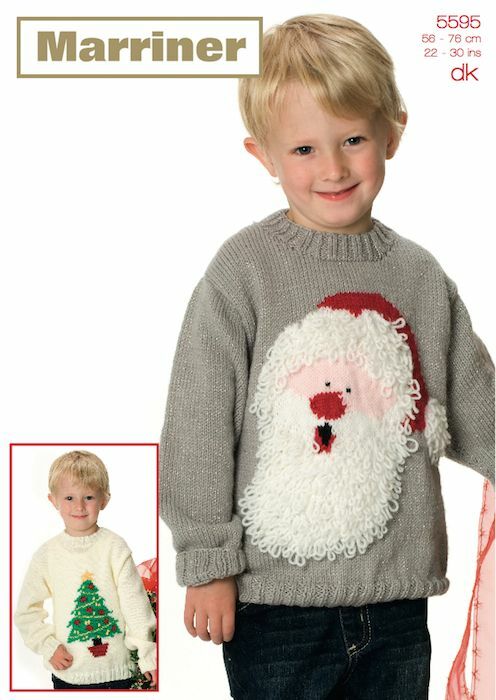 Fun and Festive Christmas jumper. Hooks required 2 - 31/4mm (UK 10 - USA 3) and 2 - 4mm (UK 8 - USA 6) Knitting Needles. © 2019 Marriner Yarns. Part of Shaws The Drapers.